Johannesburg - Short-seller Viceroy Research’s damning report on Capitec Bank may have been the talk of South Africa’s markets, but its devastating impact on the firm’s shares is already waning. Several analysts have increased their ratings on Capitec since Viceroy issued a report questioning the state of the company’s finances January 30. The report hastened a drop in the firm’s shares, which plunged 25% in the four days through Wednesday. The stock rose for a second day on Friday in its biggest two-day gain since 2004, retracing more than half its losses. The rebound came after Capitec said customers are sticking with the bank and the National Treasury called for a probe into the “reckless” way in which Viceroy criticized the company’s lending practices, only to profit from bets against the stock. UBS Group’s Stephan Potgieter changed his sell rating, in place for two years, to neutral on February 2. He kept his R920, 12-month target price (versus a closing price of R924). Arqaam Capital Ltd. analyst Jaap Meijer kept his buy rating, while upping his target price to R1 074. Elan Levy at Morgan Stanley held his equal-weight/in-line recommendation and price target of R875. JPMorgan Chase & Co.’s John Storey stuck to his overweight rating with a R950 target. Avior Capital Markets analyst Harry Botha maintained his underperform rating, while saying the decline is a buying opportunity. His target price is R1 008.62. Some analysts were scathing about Viceroy’s motives in publishing the report. “Viceroy is not an independent and credible research firm,” said Iraj Abedian, head of Pan-African Investments and Research Services, an associate of New York-based Global Source Partners Inc., who has advised the South African government on economic policy. Capitec’s shares rose 9.4% on Friday in Johannesburg, extending their gains over the past two days to about 15%. Short interest in the stock increased to 1.28% of the shares outstanding on January 31 from 1.16% on January 26, when Capitec started falling, according to IHS Markit data. In its report on Tuesday, Viceroy, led by a former UK social worker and two Australians, accused Capitec of refinancing defaulted loans with new debt. It said the state should place the finance company into curatorship. 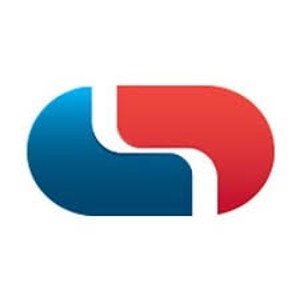 Capitec described the analysis as one-sided and inaccurate in press conferences, interviews and statements and responded fully to each of the allegations on its website. The central bank and National Treasury didn’t see the same risks as Viceroy. The central bank issued a statement on Tuesday saying that it had no evidence to suggest the lender’s stability was in question, while two days later, the Treasury said “the Viceroy report provides no basis to put any bank under curatorship”. South Africa’s Financial Services Board is investigating potential market abuse and breaches of the Financial Markets Act regarding Viceroy’s report into Capitec, Solly Keetse, a spokesperson for the Pretoria-based regulator said in an email on Friday. The Johannesburg Stock Exchange hasn’t yet handed over any report on Capitec to the FSB, he said. The intention of short-sellers “is not to do good”, said Abedian, who is also chairperson of Fortress REIT Ltd., the country’s worst-performing property stock this year. The real-estate industry has been battered by concerns they may be targeted by short sellers.